Youthful indiscretions can cause inconveniences later in life, although hopefully they aren’t always life-destroying. For Dr. Paul Allen, his indiscretion was a particularly ill-suited marriage. He was a young and ambitious doctor, she was a flighty young woman. They might never have even stayed together, had it not been for an unintended pregnancy. Although the marriage ended, Paul would always have his son Daniel as a memento – at least during those times when he actually saw Paul. Now Paul has a new wife, two new sons, an entire new life into which Daniel barely fits. Many days Paul likely doesn’t even give his firstborn son much thought. All this changes one summer evening at a political rally in California when a promising young presidential candidate is assassinated and Daniel – now going by the name Carter Allen Cash – is accused of pulling the trigger. Suddenly, Paul finds that Daniel now consumes every moment of his life, as he tries to prove – even if only to himself – his son’s innocence. 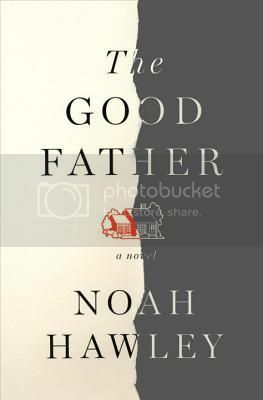 The Good Father is really about the journey of grief, guilt, and acceptance , but it also to a lesser extent explores the psyche of a young man losing his way. Both stories are resonant, and Hawley’s way with words makes this story irresistible. Highly recommended. Doctor Peter Dinzinoff seems to have it all: good friends, lovely house, successful practice, loving wife, and the child for which he and his wife had to try so hard. Really, it isn’t even an illusion of having it all, other than some tension between Pete and his son, his life really is going splendidly. Until it isn’t any longer. By the opening of “A Friend in the Family,” Pete has been kicked out of the house with his wife contemplating divorce and removed from his medical practice. He can no longer bring himself to answer his best friend’s phone calls and his son won’t speak to him. As he sits in his garage apartment and awaits a civil trial that could change his life for the better or for the worse, he begins reminiscing on what exactly brought him to this point, and remembering all the ways in which he has really been a very lucky man. I have been reading a whole lot of really fabulous books lately, and “A Friend of the Family” is another in that line. Please prepare yourself for gushing (this seems to be happening at least once a week – not that I am complaining!). “A Friend of the Family” is one of those books that I loved so much it is almost difficult to say why. The main thing is that Grodstein purely and simply wrote a book that I didn’t want to put down and, when I had to put it down, I counted the minutes until I could pick it back up again. Even more amazingly, she did so without histrionics or manufactured suspense. Although this is not a mystery per se, the reader is left wondering what exactly happened to cause Pete to lose everything. This desire to understand what happened flows out of a genuine regard for Pete and his friends and family created by Grodstein’s impeccable character development and sustained by flawless structure of the novel, with brief glimpses of the present amidst the flashback narrative. It does not always work well to have the majority of story told as flashbacks, but it definitely did in this case – I think it helped that the flashbacks proceeded in chronological order, so as not to perplex the reader. Although I knew it would break my heart on his behalf, I simply had to find out what happened to Pete, as if he were a real person whose story I was hearing. Love. Very, very highly recommend.